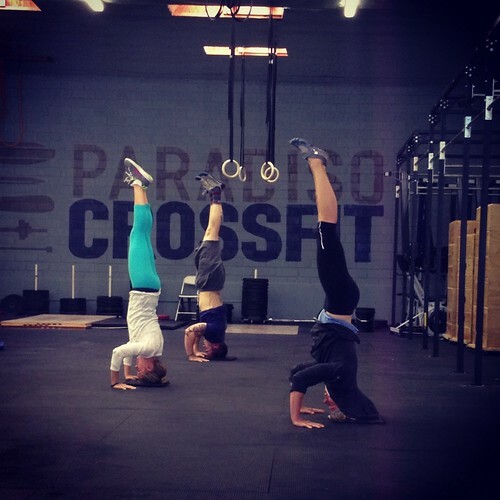 Home » WOD Blog » Final Stretch of EIE Challenge! Final Stretch of EIE Challenge! Just over one week to go in the EIE Challenge and the PCF World Championships! Be sure to check out the Event Details HERE and Sign up HERE or at the gym. Notes: Similar to the past 2 weeks. Rest as needed between sets. Perform all Press first and then all the Push Press. Notes: This will be performed by one patner performing all reps of one round before switching. Try to partner up with someone of similar abilities. Prescribed is 135/95 power snatches. Newer athletes should perform power clean and push press with Dbs. Scale the toes to bar to focus on linking the reps.
Notes: Similar to the last two weeks, perform at least 6 heavy sets, try to build up to perform the same as last week. Between sets, start setting up and figuring out what you will be performing for the muscle-ups. Notes: This will be performed by one patner performing all reps of one round before switching. Try to partner up with someone of similar abilities.